The Hobbyking KK2 board is a very capable FC, it also has the ability to monitor battery voltage, You just need to solder a minimum of one + wire to the board, I chose to solder both + & - wires. Below is a great video detailing the process of wiring and setting the alarm, I wont be going over it as the video does a great job. 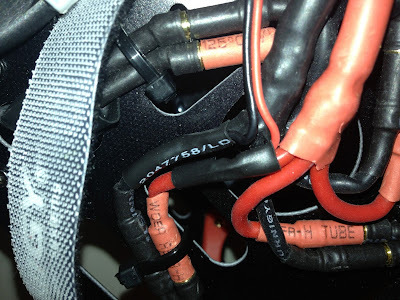 I spliced a couple of small wire directly into my homemade power wire harness, I removed a small part of the silicon sheild on both the positive and negative leads and the tinned the area. I then soldered the small wire lead to that area, then covered in heat shrink. The lead was about 8cm long with a male JST connector on for ease of use. The lead coming off the board following the video instructions, about 4cm long with a female JST connector. 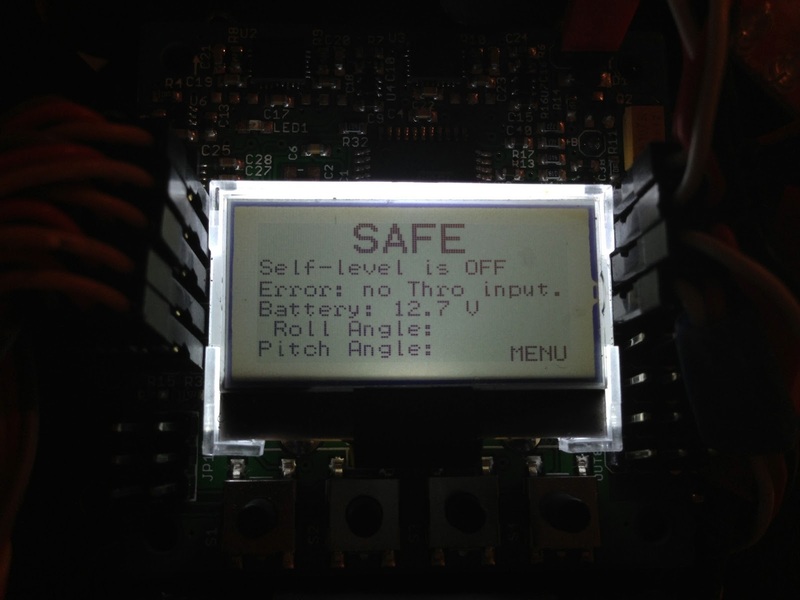 Here can see the board now showing the battery voltage all working as expected. I wish I had done this earlier and mentioned in the previos article I think I was over draining my batteries by just using the HK battery alarm.